Posted on 10:42 am Tuesday, Jun. 25, 2013 by J.W. “Nungesser and Coli have succeeded,” declared La Presse, going so far as to detail their sea landing in New York Harbor and the “cheers that rose up from the ships that surrounded them.” Those heady first reports proved false. Charles Nungesser, a daredevil aristocrat and top French flying ace, and François Coli, a one-eyed mariner and former infantryman, had not arrived in New York. Their hulking single-engine biplane, L’Oiseau Blanc, or The White Bird, was never recovered. via Resuming the Search for a Pioneering Plane Off a Remote Island – NYTimes.com. The Times had a thing today about how some beret-wearing cheese sucker is sure he’s figured out what happened to the famous French aviators Charles Nungesser and Francois Coli. The Times article seems to agree with me in spirit. No matter how famous Mr. Nungesser and Mr. Coli were, it seems they’re well forgotten now. I mean, check out the list of best guesses as to what happened to them: “The Frenchmen were thought to have gone down in the English Channel, or perhaps over the Atlantic, or somewhere between Newfoundland and Maine.” Some nuts think the United States Coast Guard shot the plane down. In other words, no one has made any headway in solving what Times referred to as “one of aviation’s great mysteries.” No one, it seems, has even been trying very hard. I don’t know how many people near the Channel said they heard an airplane, but supposedly nine witnesses in Newfoundland and four on the ought-to-be-part-of-Canada French island of St. Pierre said they did on the night the men disappeared. That’s 13 people (13!) who said they heard an airplane. If that many people said they had heard Mr. Nungesser and Mr. Coli strangle their cleaning lady, the two guys would have died in Sing Sing. This was in 1927, mind you. There weren’t exactly airplanes flying all over the place. 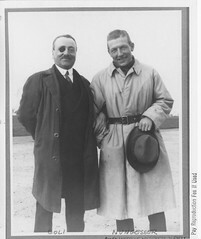 In fact, Mr. Nungesser, whom The Times calls “a daredevil aristocrat,” and Mr. Coli, “a one-eyed mariner,” were vying for the Orteig Prize, which promised $25,000 to anyone who could complete a nonstop flight between Paris to New York. Unfortunately, they “vanished ‘like midnight ghosts,’ wrote Charles Lindbergh,” according to The Times, probably not without a self-satisfied smirk. 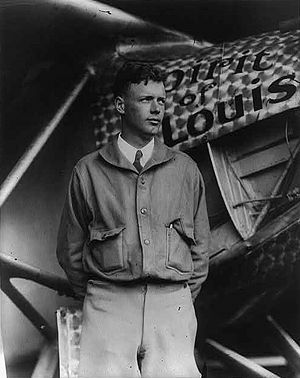 Thirteen days after the Frenchmen disappeared, Mr. Lindbergh would claim the Orteig for himself and set off an ill-fated and ungainly arc of celebrity. Yes. He really said that. I wonder if Mr. Nungesser and Mr. Coli, who were planning a water landing in New York anyway, would have agreed. Posted on 9:14 am Tuesday, Apr. 2, 2013 by J.W. And so it was sad but not entirely surprising when word came on Sunday of the passing of Pattycake, the Bronx Zoo gorilla who had long reigned as one of the city’s more acclaimed tourist attractions. Jim Breheny, the zoo’s director, said she had been discovered around 8 a.m. by a worker in the zoo’s Congo Gorilla Forest. Apparently, she went peacefully, in her sleep. Even at 40, her looks were still pretty much intact. via A Child Star With a Knack for Publicity – NYTimes.com. Tracking down Mr. Chappelle has become a comedy nerd pastime that requires close attention to social media and a willingness to drop everything and go. I heard about the shows here on Twitter the day before, bought one of the last tickets online and jumped on a plane. The show, the second of the night for him, was clearly not intended as a polished set. Comparing notes with audience members who had seen him before, I thought that it was more off the cuff, improvisational. via Dave Chappelle and His Jokes Return, Tweaked – NYTimes.com. via Efforts to Restore Bison on the Montana Range Meet Resistance – NYTimes.com. Posted on 6:10 am Saturday, Mar. 9, 2013 by J.W. The police did not open them to check. No, thank you. They put the bricks, undisturbed, back in the box, and they left. Officers in New York City confront all manner of hazardous material and paraphernalia every day, but this was something else. Fruitcake. Homemade fruitcake. via Thief Steals 2 Packages – One Contained Glasses, the Other Didn’t – NYTimes.com. Drones have become the subject of urgent policy debates… But they are also a part of the popular culture — toys sold by Amazon; central plot points in “Homeland” and a dozen other television shows and movies; the subject of endless macabre humor, notably by The Onion; and even the subject of poetry. via Visions of Drones in U.S. Skies Touch Bipartisan Nerve – NYTimes.com. Divorce filings shot up here and in other big cities across China this past week after rumors spread that one way to avoid the new 20 percent tax on profits from housing sales was to separate from a spouse, at least on paper. via Some Chinese Seek a Divorce to Avoid Real Estate Tax – NYTimes.com. Of the 16 men who went down with the Monitor on Dec. 31, 1862, researchers have narrowed the identities of the two sailors to six possibilities. While there are no conclusive DNA matches with their descendants, forensic researchers are convinced that they will eventually find these men’s stories in their bones. via After Over a Century at Sea, 2 Sailors Are Laid to Rest – NYTimes.com. Posted on 9:25 am Wednesday, Feb. 20, 2013 by J.W. via In Norway, TV Program on Firewood Elicits Passions – NYTimes.com. But then about two years ago troubling questions began to be whispered. He acted odd. He was thinner. He walked stooped over. He was absent. Was he sick? Or dying? And then the spicy talk about suspicious men trooping in and out of the rectory.Finally, last month’s revelation. The priest was locked up, charged with dealing crystal methamphetamine. via Msgr. Kevin Wallin’s Swift Fall, to Drug Suspect – NYTimes.com. via Upright Citizens Brigade Grows by Not Paying Performers – NYTimes.com. Posted on 9:07 am Tuesday, Feb. 12, 2013 by J.W. via Julia Pastrana, Who Died in 1860, to Be Buried in Mexico – NYTimes.com. via The ‘Die Hard’ Quandary – NYTimes.com. And John McCain could channel his spooky fury into a fragrance for the grudge holder who has never suffered a slight that he didn’t avenge. Its name would be Payback, and it would smell of sour grapes and scorched earth. via A Spritz of Power – NYTimes.com. Posted on 5:28 pm Tuesday, Oct. 9, 2012 by J.W. What is especially interesting, and a bit more unusual, is the way an internal parasite not only feeds on its host, but also frequently alters its behavior, in a way that favors the continued survival and reproduction of the parasite. via Who’s in Charge Inside Your Head? – NYTimes.com. …genes matter quite a lot. …they affect a person’s views of the world almost as much as his circumstances do, and far more than many social scientists have been willing, until recently, to admit. via The genetics of politics: Body politic | The Economist. Posted on 11:09 am Sunday, Jul. 29, 2012 by J.W. via A Civil Union Ends in an Abduction and Questions – NYTimes.com. Posted on 5:30 pm Sunday, Jul. 22, 2012 by J.W. At dinner one night, a friend told me how much he has in retirement assets and said he didn’t think he had saved enough. I mentally calculated his mortality, figured he would die sooner than he predicted, and told him cheerfully that he shouldn’t worry. “Congratulations!” But dying early is not the basis of a retirement plan. via Our Ridiculous Approach to Retirement – NYTimes.com. Posted on 6:04 am Wednesday, Jul. 18, 2012 by J.W. via Throw the Book at Penn State – NYTimes.com. How about throwing the book at the N.C.A.A.? You might have heard (click through the link above) that the N.C.A.A. just dropped a raft of punishments on the athletic program of Caltech, an apparently august engineering university with decidedly less-than august sports teams. This is the opposite of what it is likely to do to Penn State, even though at Caltech the rules violations seem to pale next to lurid stories of a pervert’s being given free rein in the football team locker room. Indeed, the N.C.A.A. seemed to do next to nothing after appalling breaches at Ohio State, the disturbingly repetitive career of John Calipari and the baldly corrupt recruiting of Cam Newton. Not that any of that matters. But how about a punishment for the N.C.A.A.? How about a “death penalty” for the N.C.A.A.? Blot out that dumb blue N.C.A.A. logo. Stop wearing clothes that have it, or cover it with a small piece of black electrical tape. Don’t take pictures of it. Don’t stand next to it. Stop saying the abbreviation. Posted on 6:26 pm Sunday, Jul. 15, 2012 by J.W. Today, by contrast, the leaders of the Episcopal Church and similar bodies often don’t seem to be offering anything you can’t already get from a purely secular liberalism. via Can Liberal Christianity Be Saved? – NYTimes.com. It means that effortful adherence to religious or philosophical dictums often requiring meditation, prayer or moral education, though clearly valuable and capable of producing results, is not the only way to go. via The Science of Compassion – NYTimes.com.